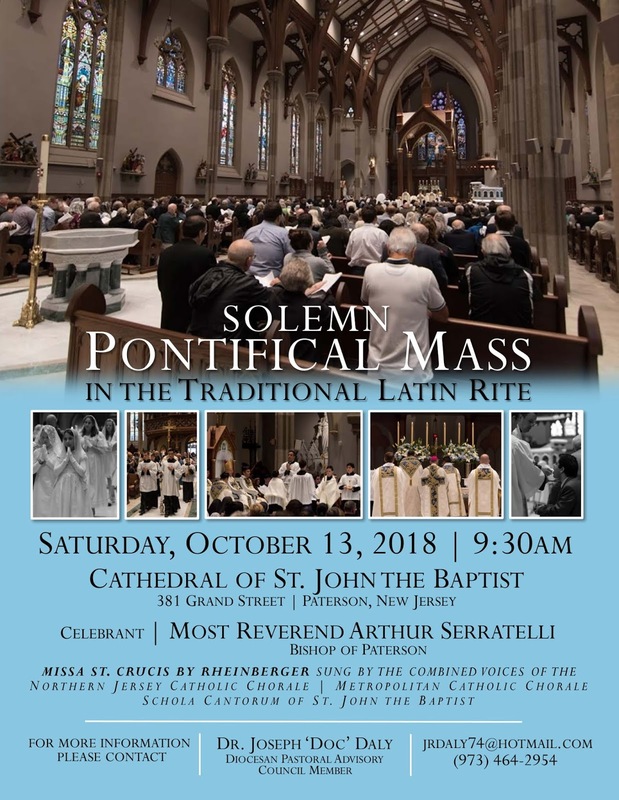 On Saturday, October 13th, His Excellency Arthur Serratelli, Bishop of Paterson, New Jersey, will celebrate a Pontifical Mass at the throne of his cathedral in the traditional rite. The Mass will begin at 9:30 am, and be followed by a convivium in the Rodimer Center behind the Cathedral. 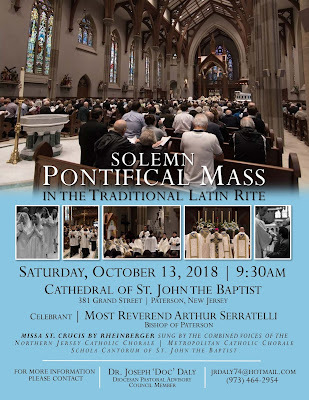 Sacred Music will be provided by the Northern Jersey Catholic Chorale, the Metropolitan Catholic Chorale and the Schola Cantorum of St. John the Baptist, Allentown, including Rheinberger’s Missa Sanctae Crucis (Mass in G) and Ave Regina Caelorum, Bruckner’s Ave Maria, and Severac’s Tantum Ergo. The cathedral is located at 381 Grand Street in Paterson.